With the 1 year plan, you get 1 free massage at the end of each 6 month term. The front desk will be happy to assist you! The front desk will take your credit or debit card and swipe to get the information and to get you set up for either the 6 month or the 1 year plan. The only amount that is setup to come out of your credit or debit account is the $44, which includes your first 1 hour massage of the month. If you do not use that massage, it will roll over into the next month and so on. Therefore, you will always be able to get what you have paid for. How does the membership benefit me? The membership will save you money every time you get a massage. For those that need to get a massage on a regular basis, or just like to, you can now get your massages at a discounted rate. It is our way of showing our appreciation for your commitment to your well-being. The cost is $44 a month which is automatically deducted from your credit or debit card account monthly; this includes a 1 hour massage. The 2nd massage within 30 days is $40. The 3rd+ massage within 30 days is $35. You can get as many massages for $35 from the 3rd massage on within a thirty day period. The 2nd and 3rd+ massage you pay for as you come in for the massage, the only cost set up to come out of your credit or debit account every thirty days is the $44 for the membership. As of right now the membership is a single plan and does not include family members. Click here to download the Massage Membership contract. Please feel free to ask any questions we will be more than happy to help! We will meet anyone new or existing client massage rate with proof of competitor’s rate. 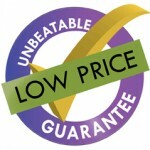 This does not include, sales, special offers, groupon deals, daily deals. $45 per Reflexology treatment . $50 per 45 minute Cupping Therapy treatment - Massage with cupping is an additional cost (Does not apply to General Cupping). See more details about Cupping Therapy by clicking here. $50 per 60 minute Manual Lymphatic Drainage Therapy treatment with Massage. $48 per 60 minute Manual Lymphatic Drainage Therapy treatment without Massage. $24 per 30 minute Manual Lymphatic Drainage Therapy treatment without Massage. **Discount Pricing for Massage Members on Lypossage, Infrared Sauna & Ionic Foot Detox Treatments. 9 to 12 treatments are suggested for optimum results. Most Major Insurances Accepted for some services offered at Circle of Wellness - Ask staff to see if your insurance will cover any of them. Please note that services ordered by one of our doctors are separate fee schedules and varies depending on your insurance provider. The prices stated above are prices for cash patients and are no affiliated with the doctors and their fee schedule.